Beneficiaries: Children from the migrant community around the Mae Tao Clinic, specifically Mae Sot, Tak, Thailand. History: In the past a student would have to temporarily re-locate to Chiang Mai or Bangkok in order to avail themselves to curriculum which would prepare them to take the GED. Current Situation: Mae Tao Clinic has a Child Development Center which can school up to 1,000 students at a time. Currently there are 846 enrolled. They will host the GED training. The Thabyay Foundation recently recently opened a GED testing center in Mae Sot. They would do the GED testing. There are some 13,000 migrant students in the Mae Sot area. From this population the students would be chosen. 25 students per year for 3 years. We need your participation in the form of cash contributions, and District Designated Funds. If you can help, please send an email to gedproject@cmirotary.org, or just contact me Jerry Nelson at jerry@cmirotary.org. Please remember that your pledge will be included in the budget calculation. Once we have the commitments we will submit the grant for approval. 1. When in Thailand please accompany us on a visit and tour. Here you will see for yourself the incredible organization known as Mae Tao Clinic (See paragraph Introducing Members and Guests below). 2. Make a donation to Mae Tao Clinic through Chiang Mai International Rotary Club. Contact jerry@cmirotary.org for specifics. Currently Mae Tao Clinic has funding shortages in the areas listed here. The Supply donations wish list is quite long. I'm happy to send it to anyone who asks. Just contact me at jerry@cmirotary.org. Your contribution are badly needed and most welcome!! Introducing Members and Guests: Because the Mae Tao Clinic is located in Mae Sot, some 360 kilometers from Chiang Mai, it is not practical to have daily contact. However, several trips have been organized for the purpose of introducing our members and friends to The Mae Tao Clinic. The more people who are aware the more support we can garner. 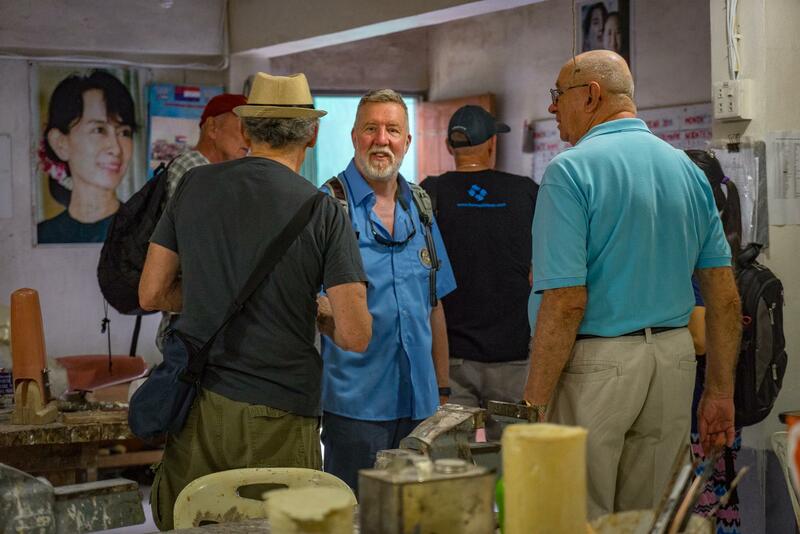 One fine example is Rotarian Neal Herman of the Estes Sunrise Rotary Club; they have made significant contributions to our Mae Tao Clinic projects and we are exploring future opportunities. The orientation trips will continue; the next opportunity will be in the July time frame. Please contact Jerry Nelson (jerry@cmirotary.org) if you are interested.